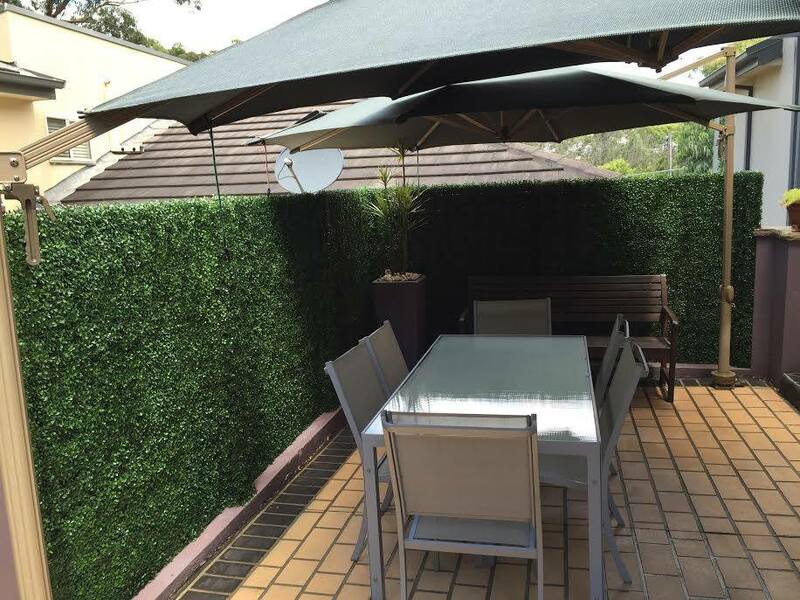 Artificial hedge fence is a nice solution for privacy screen building while brings elegance & beauty to the surroundings of your property or yard. As one kind of plastic products, artificial hedge fence’s leaves are made of fade-resistant PE materials which makes hedge fence have fresh color to help add a subtle but very fresh decorative accent to your property. Water saving. Artificial hedge fence avoids the need to water and maintenance like you would do on real plants, once you have finished its installation, few more up keep will be asked. Versatile in application. Artificial hedge fence is a great addition to any event decor. For example, it can be used as wedding event backdrop, wedding receptions, wedding party area divider which can be hung by some extra ornament like flowers, balls, etc.. Besides wedding decor, artificial hedge fence is also great for baby showers, birthday parties. Perfect for privacy protection. Artificial fence screening used to cover yard fence can perfectly protect your home or property from passerby disturb or peeping. Good quality for outdoor use. SUNWING artificial fence screening is UV engineered and fire resistant, any bad weather or environment condition can be defeated while add gorgeous and refreshing color there. 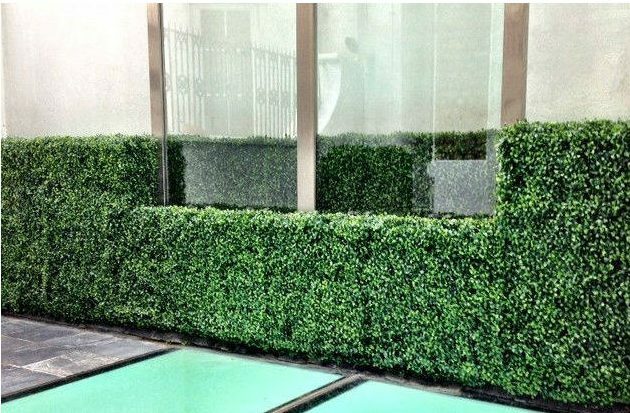 For different application requirement, artificial leaf fences have different types, like artificial boxwood fence, artificial ivy fence, bamboo fence, artificial grass fence, expandable lattice fence, etc., all those artificial leaf fence differ in foliage types, colors and size which are all customizable. Among those artificial leaf fence, boxwood hedges are the most welcomed member, and artificial ivy fence rolls are the most economical member for your choice. Make hotel, restaurants nice and more orderly. Perect for fence, walls, patios landscape, nice and private. 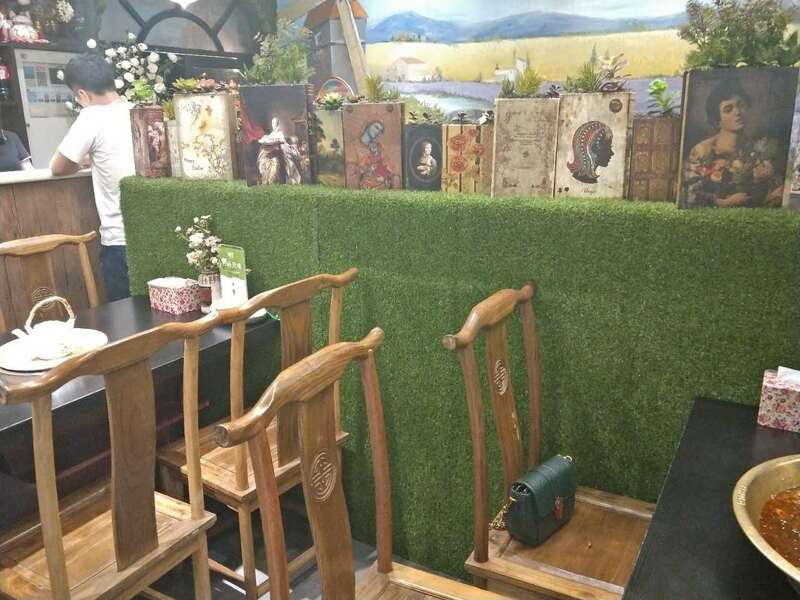 Besides those refereed items, we have much more artificial leaf fence panels or foliage for landscape, design or gardening, to get full catalog, price list, details, or get a bespoke type of artificial hedge fence, just leave your comment or send email to sales@leaveshedges.com.